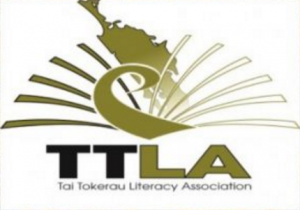 I see it as a great privilege to present this first report as President for the Tai Tokerau Literacy Association for 2016. This year was unlike no other that I have experienced in my years on the TTLA. When I sum up the journey we have been on, is that we have an exceptionally talented team. A team that has stayed true to wanting to provide opportunities to promote and highlight Literacy Practice. A team that work together, learning from each other and stepping up to tasks where they can and are able. A team that share the load, plan events and see them through. This year we also saw many of our team stepping up at national level. Glenice Andrews as President of NZLA, Kath Corby as Secretary and myself helping out on the IT front. This year we are also very sad to see the departure of Jillian Norrie at the end of the year. Jillian joined TTLA in 2008. Jillian has always been one of those special people, passionate, understated, talented and very committed to making a difference where she could. Her initiative in leading us to organise a Marae and Maori Literacy experience was excellent and noted even at a national level. A special mention also to Carol Tyson, who has gone to Chile, Carol always liked to get involved and she put a lot of effort in our art competition. We started the year with a Spotlight on Schools Event at Manaia View. Sixty people attended this event, a great time to look at how a school approaches Literacy and Technology. It was very well received and an event worth pursuing across the Schools in Whangarei. In Term Two, Anne Kenneally from Core Ed came to speak to us about ai?? ?Making IT Shine in your Literacy Programmeai??? Fifty four joined us for this dinner meeting. Again many practical ideas were shared. In early Term Three, forty people registered for a new event ai?? ?Literacy in Art Workshop.ai??? This was run in conjunction with Office Max. Whilst it did have some unforeseen issues it was practical and a great motivator for art for our Conference. Which brings us to the NZLA 39th National Conference – ai?? ?Navigating Litereseas.ai??? All up three hundred and forty seven people attended this event. This to me seemed like a Mt Everest event when we began. It was the culmination of three yearsai??i?? work for a core group of volunteers who created something special out of nothing. We were a group of people, who largely were learning about conferences as time went on. The skills we learnt, time frames we worked through, emails and phone calls responded to, the pieces of the puzzle that were put into place, and the anxious wait to see a conference come to life culminated into an event that was highly successful according to our feedback and also produced a surplus, Yay! I think it is fair to say though at the conclusion of this event, we were all exhausted, like recovering from a major climbai??i?? and I have 2 quotes that sum the Conference upai??i?? ai?? ?I think it all comes down to motivation. If you really want to do something, you will work hard for it.ai??? “Well, George, we knocked the b******* off.” – Well team we knocked the conference off!! A separate conference report has been written. On a final and personal note, the reasons I get involved in an Association/Committee is firstly does the group have a genuine purpose that helps other people? Yes and an important one. My second reason is about the people. This committee is made up of a group of incredible peopleai??i?? I will work my heart out for people that have integrity, character, are team players where we all serve and lead when needed, people that share their talents and people that want to make a difference. You have all encouraged me, supported me, taught me, given awesome advice and trusted me in the role of Presidentai??i?? for me to lead it means to serve others and I look forward to another great year in 2017!